Welcome to the Kenya itineraries page! A superb introduction to Kenya. Great game and great guides! 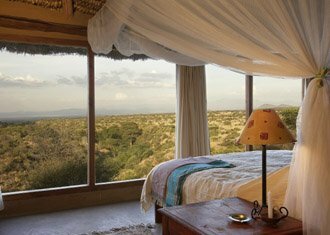 Lewa Wilderness is probably our pick of the lodges in the Lewa Conservancy as it combines a whole spread of both activities and privacy. Each of the cottages is very spacious and gives you the feeling of total privacy while not feeling cut off from the lodge itself. As an actual home, the communal areas feel welcoming and comfortable with the swimming pool area and bar being particular favourites! Set to the north of the Masai Mara National Park, Elephant Pepper benefits from being away from the crowded Western region of the park. The most significant feature of Elsa’s, apart from the views that stretch for years and the perfect tranquility, is the staff and their attitude in the camp. The camp makes a point of growing most of its own produce and so boasts a wonderful selection of fresh vegetables with which to cook. 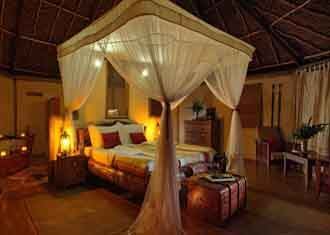 Cottars is set down to the South East of the Mara away from the crowds of the more popular western Mara region. On the whole the guiding is good from the camp and the experience of riding through the bush in a replica 20s car is novel. 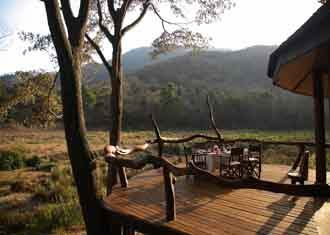 The region has good resident prides and, due to its secluded location, has an intimate safari feel. Located over to the west of Amboseli NP, Tortilis is located in one of the best areas, away from the hustle and bustle, but close enough to have easy access to the park. Alex is really changing the way safari is considered in Kenya and East Africa. One of a group of camps that he has slowly developed, Serian is the perfect base away from the crowds of the Mara to use as a base for a few nights while using the mobile camps and walking safaris to go and see the herds. One of our favourite hotels on Zanzibar and one of the best along the East African coast. The beach here is the best on Zanzibar and unlike much of the east coast, is free of hawkers and general hustlers. Nungwi village just down the coast is a great place to go out and have a few drinks or a bite of lunch. This is a great trip to experience the migration on both sides of the boarder. Rekero has long been held as the camp to try and emulate in the Mara as it has everything you would look for from a camp. Owner run and managed, the level of standards are comparable with those of camps in Botswana and, due to the depth and knowledge that is learnt through experience of an area over a long period, the guiding can certainly be compared as well. Alex's Serengeti North operation has more to offer than its competitors - fly camping, walking and an amazing northern location. Alex has been running camps and guiding in Africa for a very long time and his expertise and knowledge are evident in the perfect safari atmosphere we think he has created around the camp. Since it has recently changed hands, Kitich Camp has moved away from the once very rustic experience it was with Guilio. There is still no compromising on the experience, but with electricity throughout the night it is has a slightly softer feel. The onus is still, however, very much on getting out into this stunning region with walking a particular recommendation. If you are looking for a touch of utter wilderness and a great place to relax….the only drawback is getting there! Shaba National Park is probably one of the least known in Kenya...and long may it remain that way! Joy's was completed in 2007 and is a stunning, semi tented camp set on the fringes of a small lagoon complex. Set in the verdant Chyulu Hills, to the west of Tsavo, Ol Donya Wuas has long featured in Kenyan safari itineraries as a stunning location and lodge. However, as with plenty of Kenyan lodges they started to trade on their name rather than the overall experience provided and so really dropped off the map for us. The Mara Plains Camp is in a great location in the Olare Orok Conservancy, just a short distance from the Mara Reserve and Mara North Conservancy boundaries (no fences), Mara Plains Camp is best placed to explore all three areas. And with just 7 luxury tents is among the finest lodges in the Mara ecosystem, located on the shady Ntiakitiak River overlooking the plains. 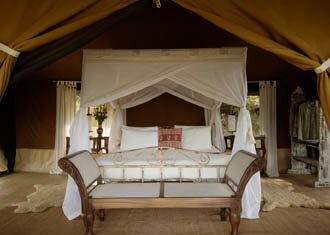 A luxury Kenya safari, focusing on a wide range of safari activities. 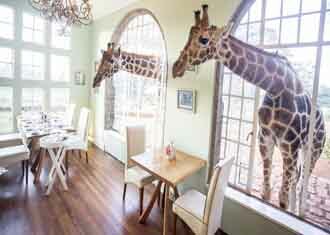 Giraffe Manor is a joyous choice of accommodation in Nairobi; it is fun. This gorgeous old manor house has history and an uplifting atmosphere. The excitement of wonderful, long noses pushing through the windows of the breakfast room is shared by guests and staff alike, despite the fact that many of the latter have been here for decades. 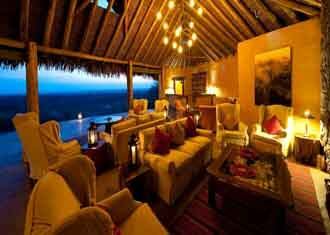 Set in the hills that surround the Lewa Wildlife conservancy, Borana offers a slightly different experience to the lodges on the plain. 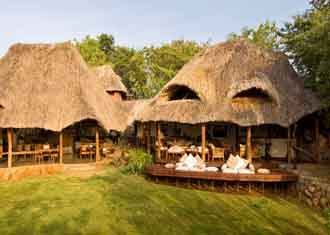 Set on the sides of a small valley, looking down to a water hole, all of the rooms and the main lodge areas provide stunning views out across the rolling hills.